A classic Winter sport performance sock, Thermolite has hollow core fibres which trap air inside increasing the insulation making these socks warmer than anything else of the same weight. The socks have a sufficient loft to them to provide cushioned protection but remain incredibly lightweight and thanks to the large surface area of the yarn structure it wicks away moisture allowing it to evaporate away from the skin. 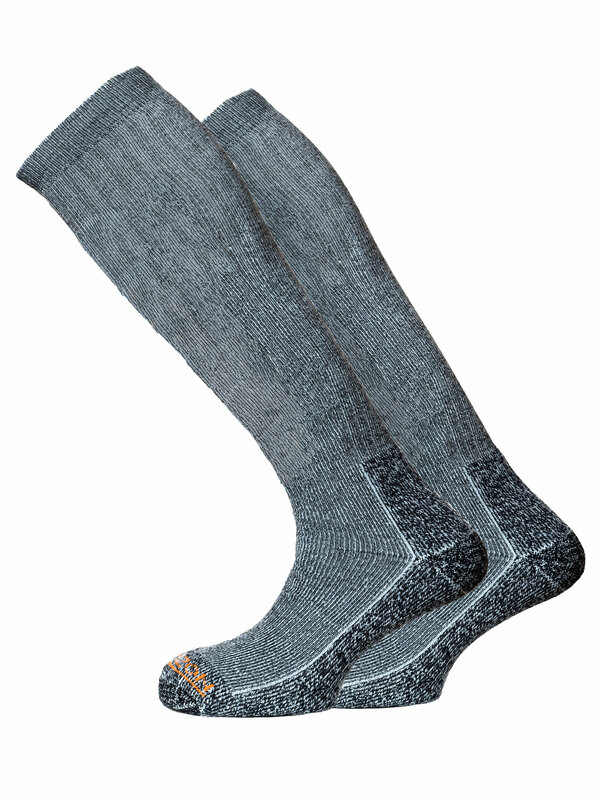 A ribbed knee length leg gives a relaxed, non-restrictive finish coupled with a double density sole and grip sections mean this sock will come in useful for more than just Winter sports.